Whether you’re a farmer or an estate owner – you run a sports club or a local authority - or you’re a domestic homeowner, we can help. We will deal with the issue efficiently and proffesionally. 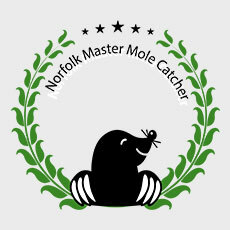 If you have a problem with rabbits on your land, call Norfolk Pest Control Services on 01379 852 950 or 07806 875 985. We’ll deal with it efficiently and effectively using safe, tried and tested traditional methods. With litters of between 4-10 young and a gestation period of only 30 days, a female rabbit can have up to 30 young between January and August – and at 4 months old the young rabbits are ready to start breeding too. Left unmanaged this can result in damage to crops, gardens, trees, and the countryside in general. When Norfolk Pest Control are working on rabbit control we always consider the environment. Conservation is important - we never use gas, and we always keep up with the latest legislation. We’ll start with a survey of the area, and then use one of more of the traditional methods beside below to manage your rabbit problem. Ferrets - Long Nets - Ditch Nets - Purse Nets - Gate Nets.